Look! 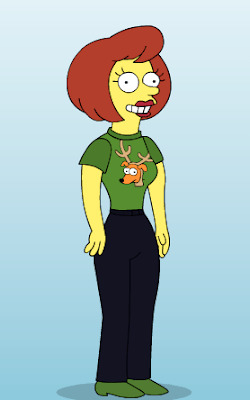 I’m on the Simpsons! | Separated by a common language. Look! I’m on the Simpsons! I’d buy this shirt in real life, too. To make YOU as a character on the Simpsons, click HERE. YES!!! That is great! I did it, too, and it looks like our skin color and eyes are the same…lol! I, too, would buy that shirt. And I’d buy the one with the mutated fish with 3 eyes that I put on my character, too. What good taste we have. It’s true, we are masters of great taste.